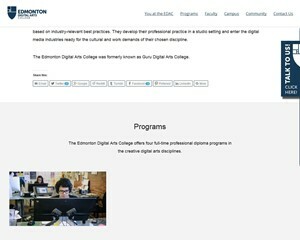 The Edmonton Digital Arts College (EDAC) is a private post-secondary school in Edmonton, Alberta, Canada that thrives on merging arts and technology in a mentor-oriented learning environment. 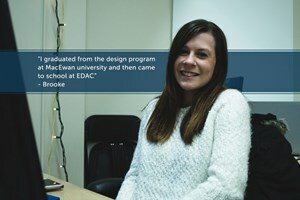 Students at the EDAC build a foundation of skills based on industry-relevant best practices. They develop their professional practice in a studio setting and enter the digital media industries ready for the cultural and work demands of their chosen discipline. EDAC Game Jam is Back!